It has been revealed that J. Cole will headline the NBA All-Star halftime show. The 68th annual NBA All-Star Game is happening 17th February at the Spectrum Center in Charlotte, North Carolina. Meek Mill will be opening the game, Carly Rae Jepsen is set to sing the Canadian National Anthem, and Anthony Hamilton will perform the U.S. National Anthem. 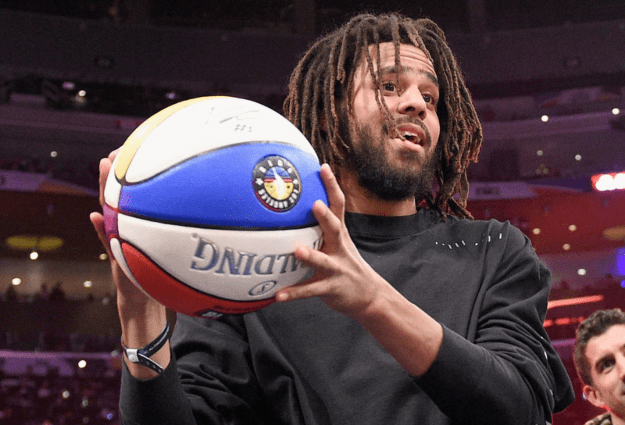 A number of Cole’s projects and accompanying cover art have nodded towards Basketball (Cole World: The Sideline Story, Friday Night Lights), and he also participated in the 2012 NBA All-Star Celebrity Game. Last year, N.E.R.D. performed during the halftime show with a guest appearance from Migos. Migos’ Quavo also won the title of MVP at last year’s game.